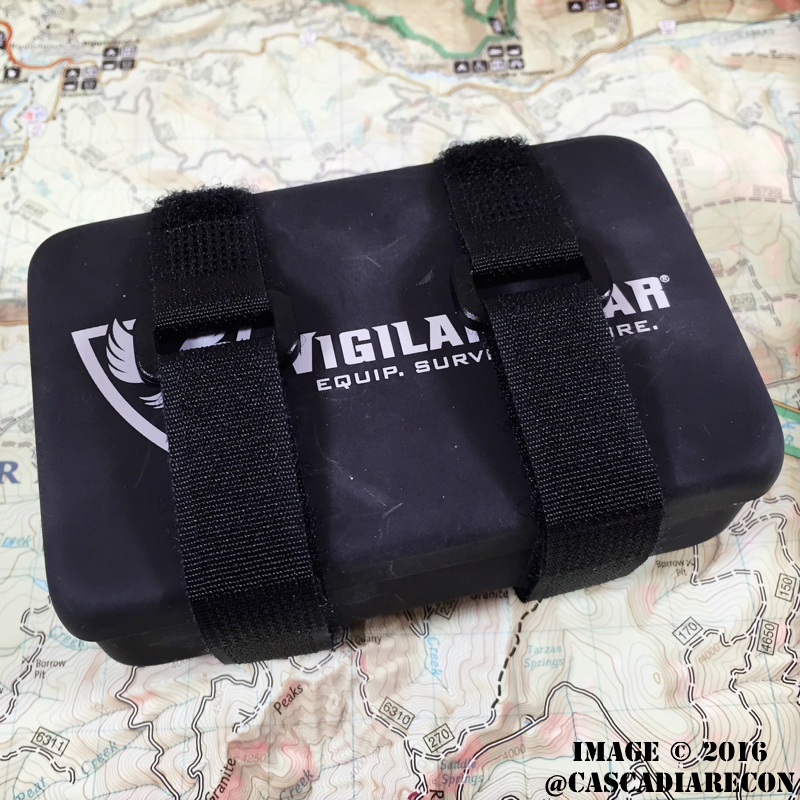 Up for review today is the “Kit Container” from Vigilant Gear. The folks over at Vigilant Gear have a lot of cool gear, much of it aimed at urban every day carry, survival, and evasion / escape. Making a survival kit out of a modified Altoids tin is practically a rite of passage for anyone who is into EDC, survival, camping & hiking, prepping, etc. While the Altoids tin style kit is great (and cheap – plus you get mints! ), it lacks a few features to really make it last. The number one issue I’ve run into has to do with waterproofing and rust. Eventually, these small tins will rust over time, even if you apply a piece of electrical tape around the lid. Not a big deal, so long as you check your gear regularly, but something to consider regarding longevity. Enter the Kit Container: It is like an Altoids tin on steroids. Constructed from a hearty chunk of aluminum and Type III hard anodized, it is built to last. In addition to that, there is a gasket built into the lid to keep water and moisture out of your gear. Size-wise, it is a little bigger than the typical mint tins (and definitely heavier), with thicker diameter walls. There are a pair of Velcro straps that wrap around the outside of the container, keeping the lid nice and secure. If you needed to, you could certainly dig with this container, or even boil water. While neither of those activities would be much fun with something of this size, it’s nice to know it could work in a pinch. Additionally, the inside of the lid is covered with 3M’s Reflexite for use in signaling.